The Balvenie Tun 1401 Batch 8 launch was last night at the Balvenie whisky fete (still running today and tomorrow, 12 until 6pm) and I was fortunate enough to be on the invite list. Working for the company running the shop at the fete does have some advantages. Tun 1401 takes its name from the favourite marrying vat of David Stewart, Balvenie’s Malt Master and one of the longest serving people in the Scotch whisky industry – 50 years last year. The vat holds about 2000 litres and Balvenie pride themselves on the fact that they leave every batch of whisky to marry together for a couple of months before bottling. Batch 8 went into the vat in February and was bottled in the last few weeks. Batch 8 contains the largest number of casks of any release in the series so far – twelve: nine American Oak and three European Oak. The vatting contains one cask from 1991 and a couple from the 1980s, but the majority of the whisky was distilled back in the 1970s. Despite this being a no age statement dram there’s some good old whisky in the mix. Nose: It’s a bit unsettled to start, switching back and forth from creamy bourbon to rich sherry. After about 15-20 minutes in the glass (about the length of a presentation about the whisky from David Stewart and brand ambassador Andrew Forrester) it starts to calm down. It kicks off with the traditional Balvenie heather honey notes, real honey rather than just random sweetness, and flower petals, backed up by spicy cinnamon, old dark oak, wax polish and some leather. Traditional bourbon notes of fresh orchard fruit start out quite vibrant, but get a bit hidden by the sherry influence as the whisky develops in the glass. 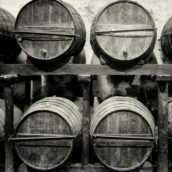 Palate: The palate is much more balanced, with rich sherry, spicy oak and touches of pine resin acting as a base, with liquorice, menthol, blackberries and cinnamon filling out the darker flavours. On top of that is more honey, orange peel, peach skin, dried apricot, cinnamon toast, candied papaya (I think that’s what the pink and yellow sticky things are in the ‘healthy’ box of fruit I keep on my desk) and a touch of tannic wood. Finish: Lingering leather and woody spice are joined by some dried tropical fruit touches, and peach and plum stone bitter notes. Comment: A great whisky that still seems a little unsettled – give it a few more weeks in the bottle (it was only filled very recently) and I suspect this will be even better. 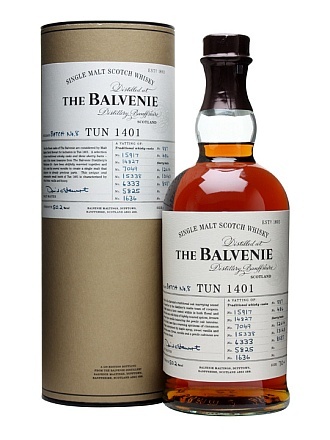 The sherry influence is different to the previous batch but still very noticeable, making this not only a definite part of the Tun 1401 series but also something a bit different and special over the regular Balvenie releases. I think it’s almost up to the level of the stunning Batch 5. Balvenie Tun 1401 Batch 8 will be available from the TWE website soon. 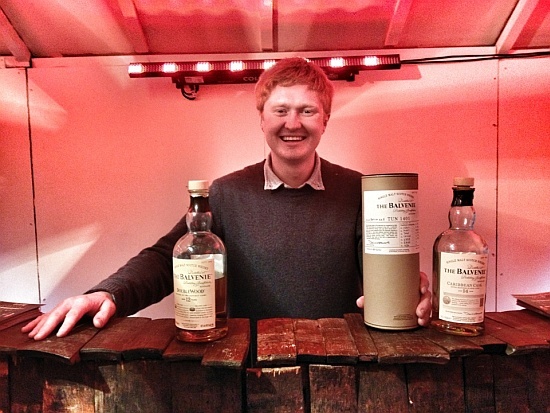 It is also currently available onsite at the Balvenie Whisky Fete, but bottles are selling very quickly. 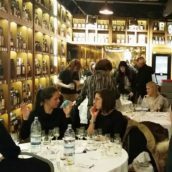 Ardbeg Ardbog – Now on Sale at TheWhiskyExchange.com!